For a long time I have been known as a unicorn, or at least so the joke goes among many of my Twitter friends. A magical creature that seemingly exists only on this blog and on Twitter but is actually not seen out in public. Or at least not out at conferences. It has not been for lack of desire, but when you have four small children, attending conferences and incurring extra expenses is not feasible. So every summer for the past five years, I have followed from afar and hoped that some day, I would be able to meet all of the incredible people I connect with. It appears that this summer my wish will finally come true. This summer, I have been asked to speak at some conferences and others I had proposals accepted for. Either way, I am humbled and excited for the places I get to go, the learning I get to be a part of, and the incredible people I will connect with. So if your plans involve any of these conferences, please find me and say hello. I will be the tall blonde woman, probably hiding behind a book, too shy to approach but very, very eager to meet people. So where will I be and what might I be doing? June 15th, 2015 – Featured Speaker – USM Summer Spark, Milwaukee WI – I get to give three presentations on this day along with other incredible educators. Topics include using assessment for good, global collaboration, and how to create passionate learners. 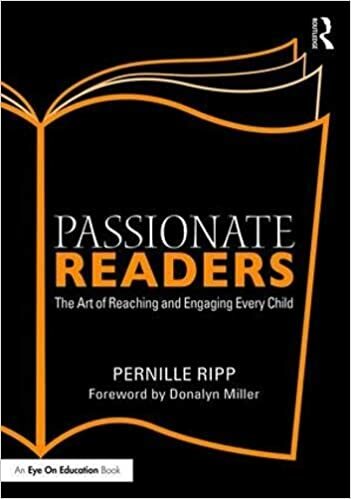 June 17th – 18th – Keynote and presenter – Oregon District Summer Literacy Academy. Come discuss all things reading and writing along with other incredible educators from Wisconsin. This is open to outside districts as well, but a link is not up yet. June 24-25th, 2015 – Workshop facilitator – MCP Summer Institute, Chicago, IL. I am thrilled to be co-facilitating a two day workshop with the incredible Diana Laufenberg. (Seriously in awe of her as a teacher and a human being). This workshop is all about constructing 21st century learning experiences and promises to be filled with incredible learning and a bundle of new ideas. June 29th – July 1st, 2015 – Speaker – ISTE, Philadelphia, PA. I am finally making it to ISTE for the very first time. I get to present on three separate occasions and also take part in the GlobalEd day that is happening Sunday. Sunday I will be the teacher representative on the Lead & Transfrom ISTE Town-hall Panel. Tuesday I will get to co-present with the incredible Colby Sharp and Erin Klein where we will discuss “Set Their Voices Free: How Students Can Share Their Stories.” And finally Wednesday I get to be a part of The Connected Educator panel with some of my fellow Corwin authors where we will discuss all things connected educators. July 6-7th, 2015 – Featured Speaker – NERDcamp – Parma, MI. I have wanted to go to Nerdcamp for the past two years and I am so excited to finally get to go to this FREE conference! On day 1, I get to give a small Ted-like talk as well as do a session on integrating technology into our literacy programs. On day 2, I get to just learn, I cannot wait! July 9th, 2015 – Keynote, NNSTOY, Salt Lake City Utah. I will be going to Utah for the very first time to do my third keynote ever in front of an incredible audience of teachers. 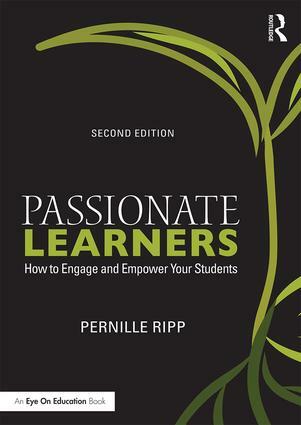 The keynote will be on how to create passionate classrooms. ITo say I was shocked to be asked to speak is an understatement. July 17-20th, 2015 – Speaker – ILA – St. Louis, MO. Another first for me; The International Literacy conference and this time I am bringing my husband. I have heard nothing but incredible things about this conference and cannot wait to go and learn from people as obsessed with literacy as I am. I present Saturday sharing the story of the Global Read Aloud. July 21 – 21st, 2015 – Featured Speaker – K-12 Learning Symposium, Arrowhead School District, WI. This two-day workshop spearheaded by the talented Naomi Harm promises to be a hands-on learning experience, which is my favorite kind of conference. The focus is about how we can help schools create the learning environments that they need. August 11th, 2015 – Featured Speaker – Summer Tech Splash, Portage, WI. This two day event will focus on how we can use technology to create collaborative learning opportunities, as well as provide authentic experiences for students. I cannot wait to discuss student blogging, global collaboration, as well as how to use technology to empower students. August 19th – 20th, 2015 – Workshop facilitator – CESA 3, WI. I end my crazy summer of learning by facilitating a two day workshop in one of the most beautiful parts of Wisconsin. These two days will be all about student engagement, from how we set up our classrooms, to creating personalized learning experiences that excite students. Just looking at this list shows me how much work I have to do as I prepare, and yet, I cannot feel anything but incredibly excited to finally get out on the road and meet so many new people. There are many, many people I owe a great deal of thanks to and there are many more that I simply cannot wait to speak to. If you happen to be on the road this summer, I hope our paths cross. Honestly, I was going to ask you what your summer looked like with the hope of meeting you. You are a very busy woman, but unfortunately, I will miss you at the Teachers College Reading Institute this August. Enjoy your summer and know that your time, creativity, wisdom and vulnerability are greatly appreciated. Tweet lots this summer!